This is probably my favorite Haitian appetizer. 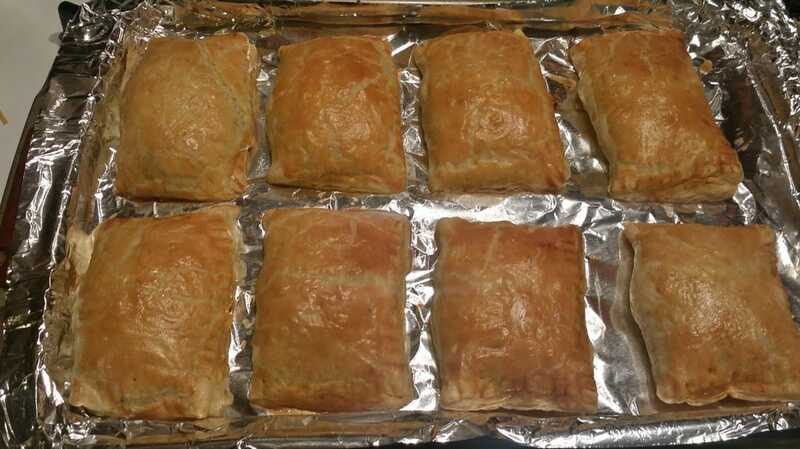 My mom never made these at home. 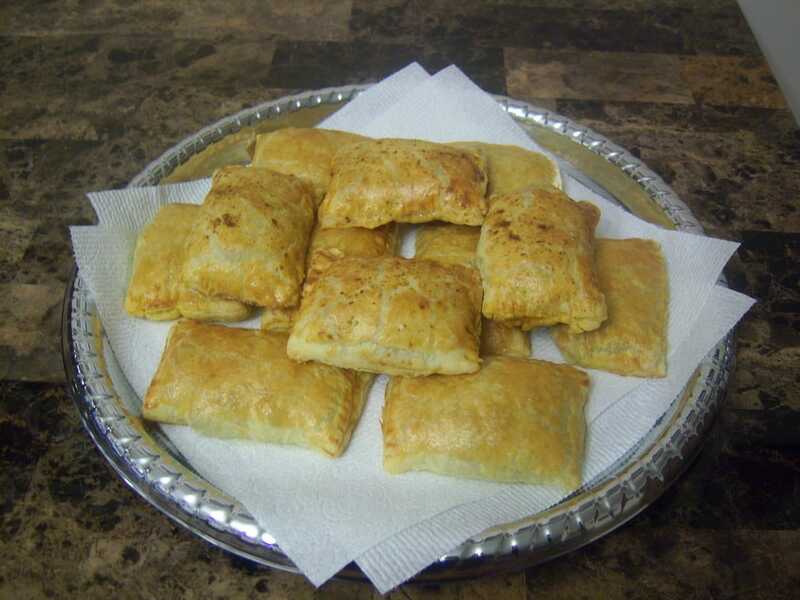 If we were lucky enough to have these, it would usually be at a party or we would pick some up from a Haitian Bakery. I absolutely love the crust. The layers were so flaky that by the time you were done eating one of these, you had crumbs all over the place. I used to joke that if you weren't crusty and dirty after eating one of these, you didn't have a good, authentic patty. 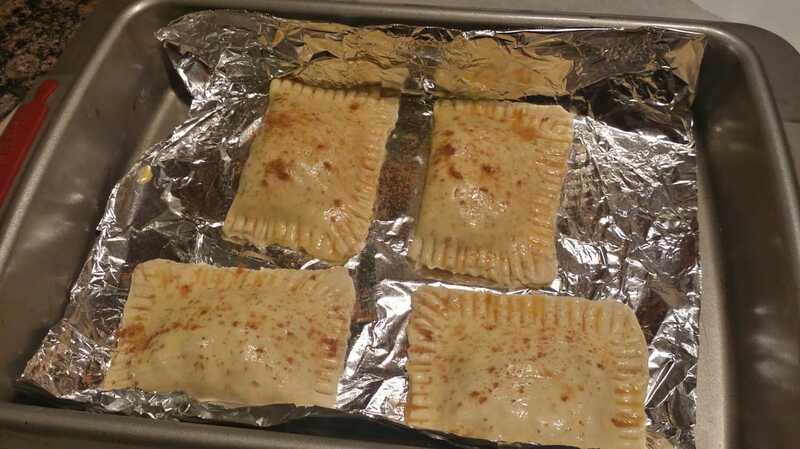 In any case, these are great for get togethers and are always a hit. They can have different fillings such as chicken, fish, or beef. I have only made beef, although I do like the others. This version I'm sharing with you is the one with beef filling. 1. 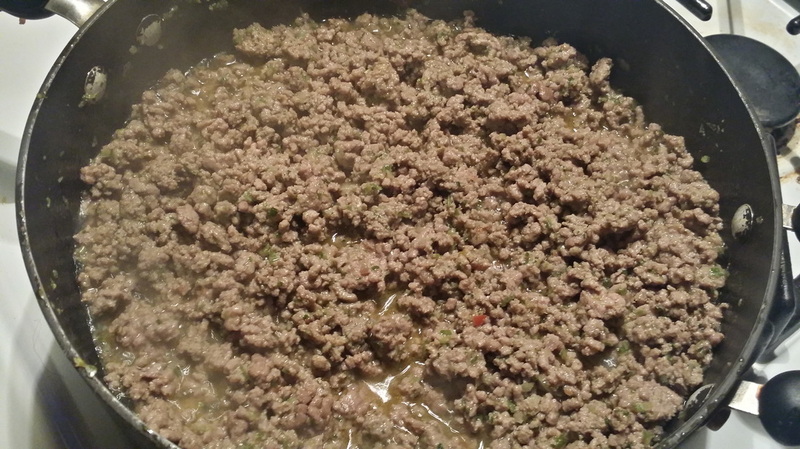 In a skillet on high heat, place your ground beef, 5 tbsps. of epis, and 1/2 tsp. of Adobo. Mix ingredients thoroughly as pan starts to heat up. 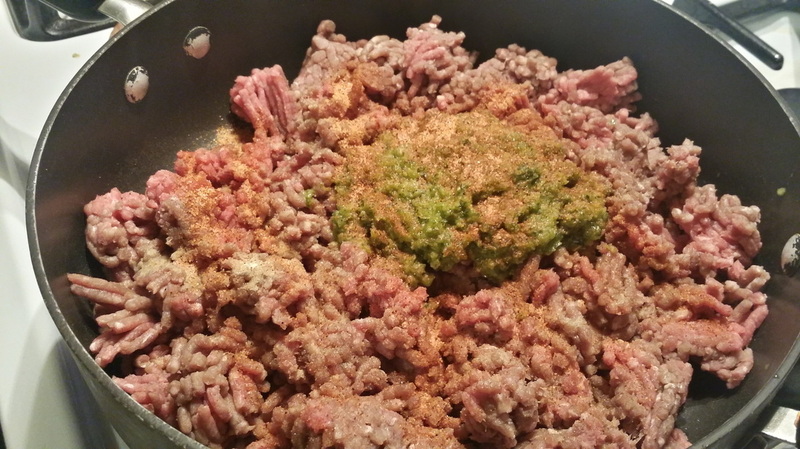 Continue to mix contents every 1 - 2 minutes for 5 - 7 minutes to make sure that ground beef is crumbled. No need for oil in the beginning. 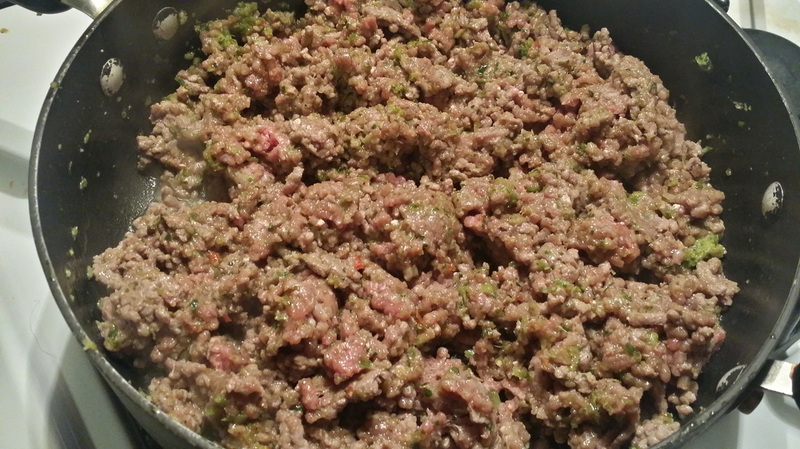 The ground beef will render it's own fat. Note: I recommend using lean meat with less fat content. If not, try to drain as much of the oil as possible when it has cooked down. 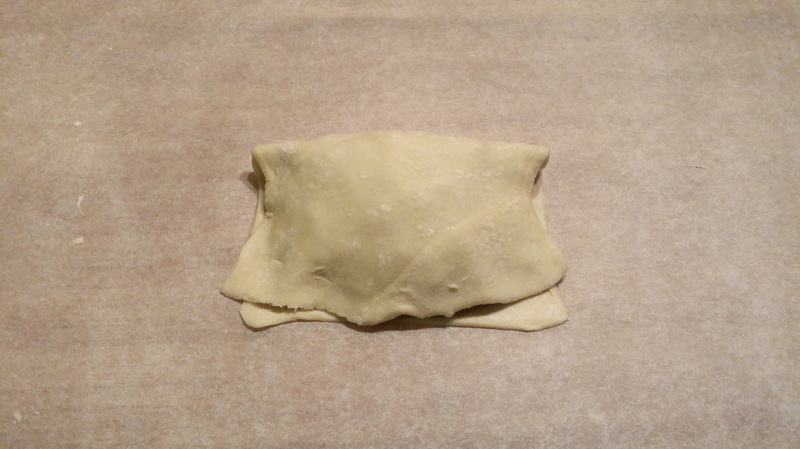 If too much fat/oil remain, when stuffed in the pastry, it will leave the bottom of the patty oily and soggy. 2. 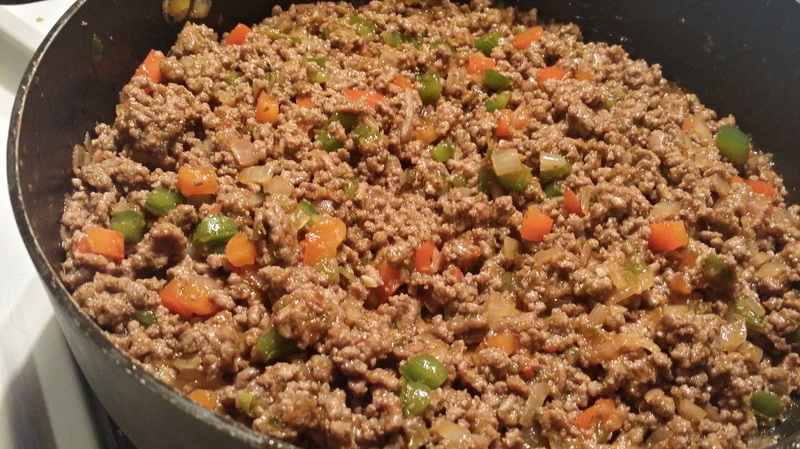 After about 5 - 7 minutes, when ground beef has started to brown but has not completely cooked, add in all your diced vegetables: green pepper, red pepper, shallot, and onion. 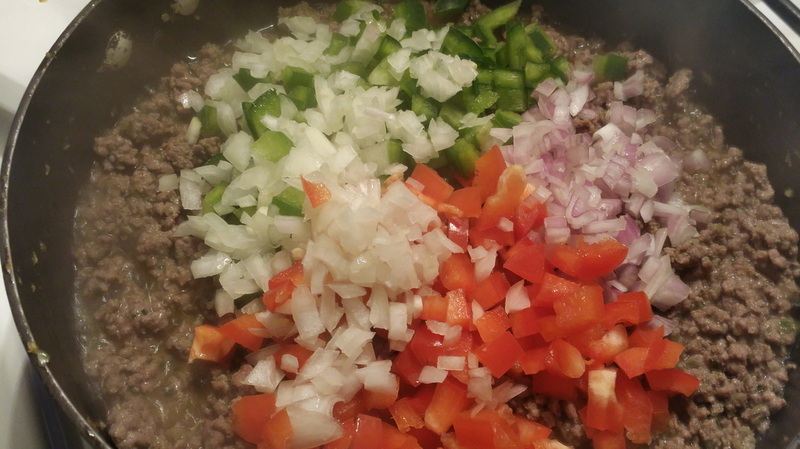 Mix ingredients thoroughly to well incorporate with the ground beef and continue to cook for another 5 - 7 minutes. Be sure to stir every 1 - 2 minutes or so. 3. 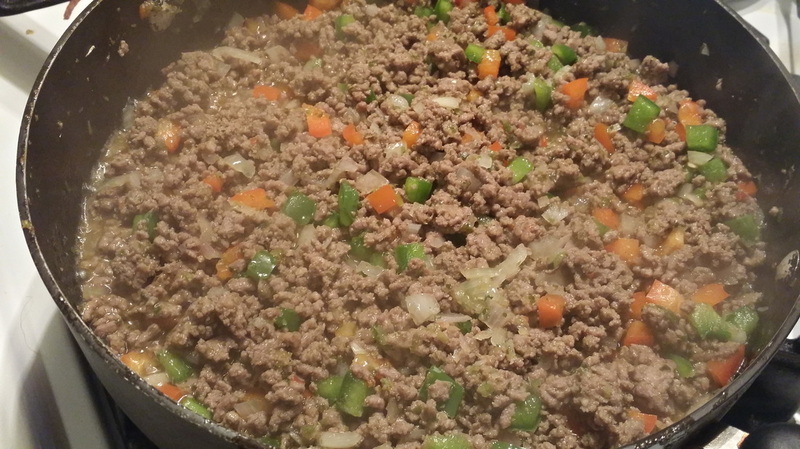 When the beef has fully cooked and browned, the vegetables have become tender, and most of the liquid has dried, add about 2 tbsps. of tomato paste. 4. 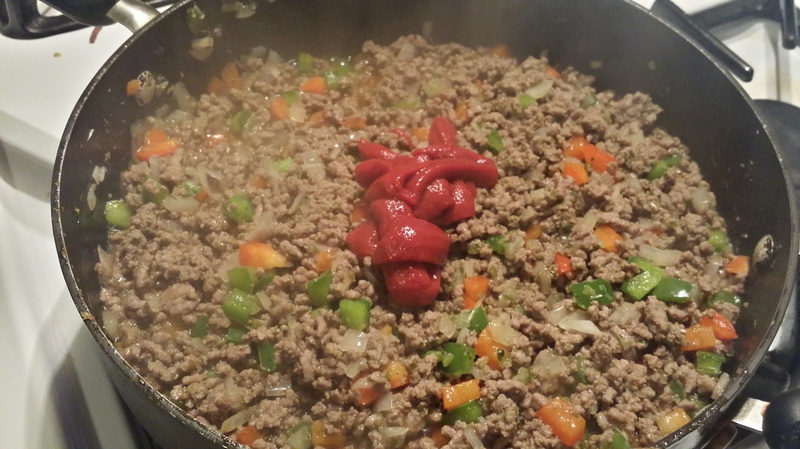 Mix thoroughly to well incorporate the tomato paste. Continue to cook for another 5 minutes, stirring occasionally to ensure most of the liquid has dried. You may sample and add salt to taste if desired. 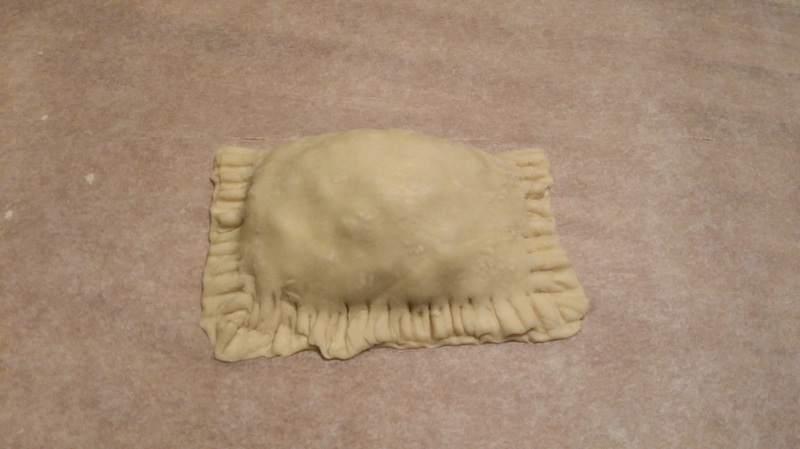 Afterwards, remove from heat and set aside to lightly cool while preparing puff pastry sheets. 5. 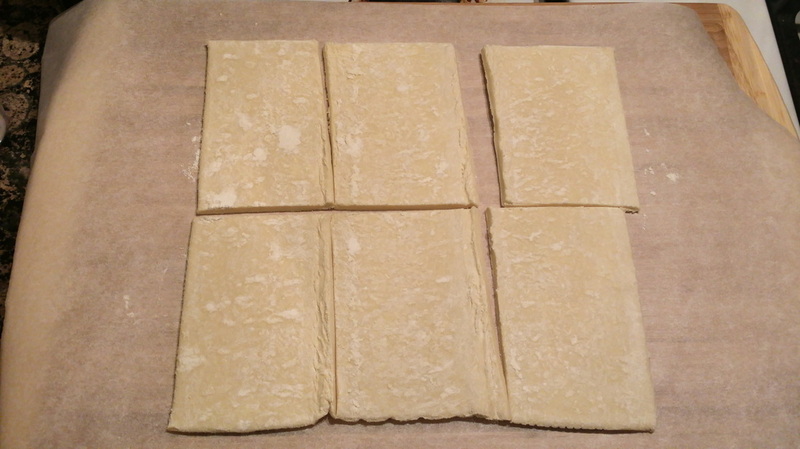 Lay out your puff pastry sheet and cut into 6 equal rectangles. Do the same with the 2nd sheet for a total of 12 pieces. 6. 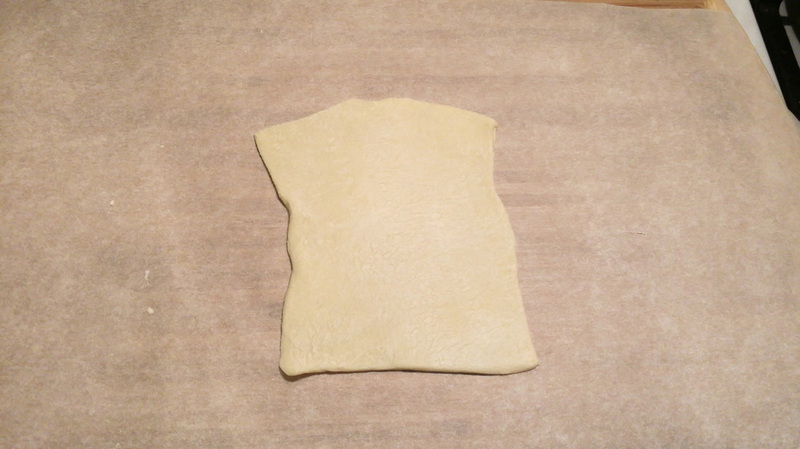 Use a rolling pin to flatten and enlarge each individual piece of puff pastry. *Flour your surface to prevent it from sticking. 7. Traditionally in a Haitian bakery, the meet filling tends to be on the skimpy side, especially since it's more about the crust then anything else. I like to load mine's with beef filling. About 3 tbsps. to be exact. With each rectangle, place about 3 tbsps. of beef onto one side being careful to avoid the edges. 8. 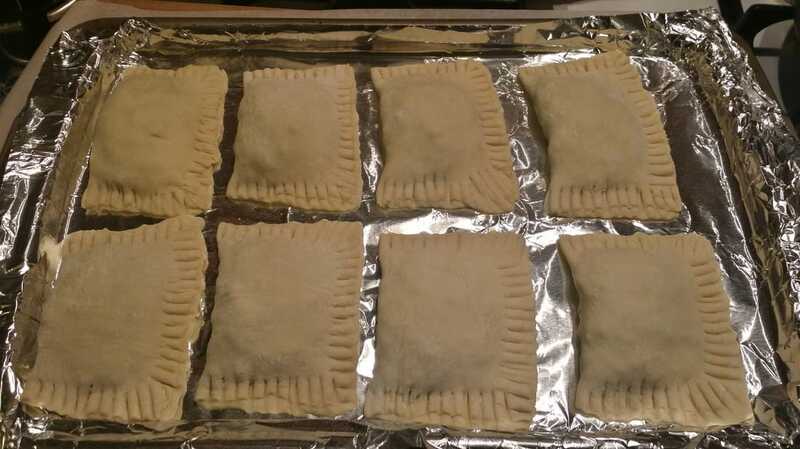 Fold the top half over to enclose the beef filling then using a fork, firmly press down the edges to seal the filling inside. 9. Repeat the same process for all remaining pieces and place on an aluminum lined baking sheet. I was only able to fit 8 on my baking sheet and placed the other 4 on something else. 10. 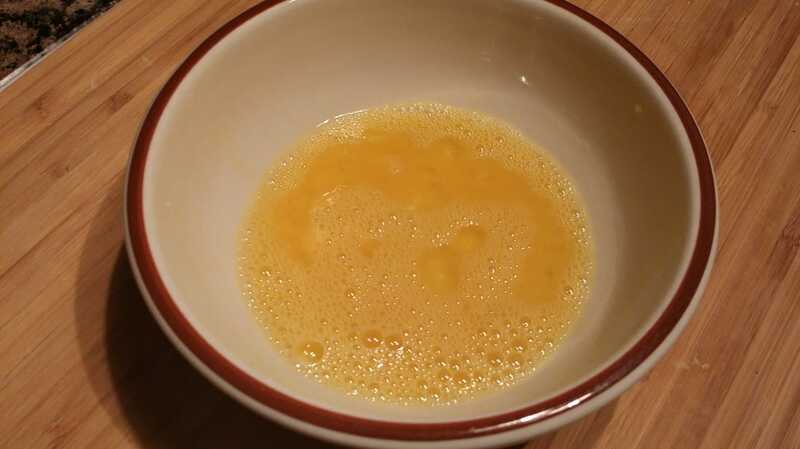 In a bowl whisk the egg with about 1/4 tsp. of salt. 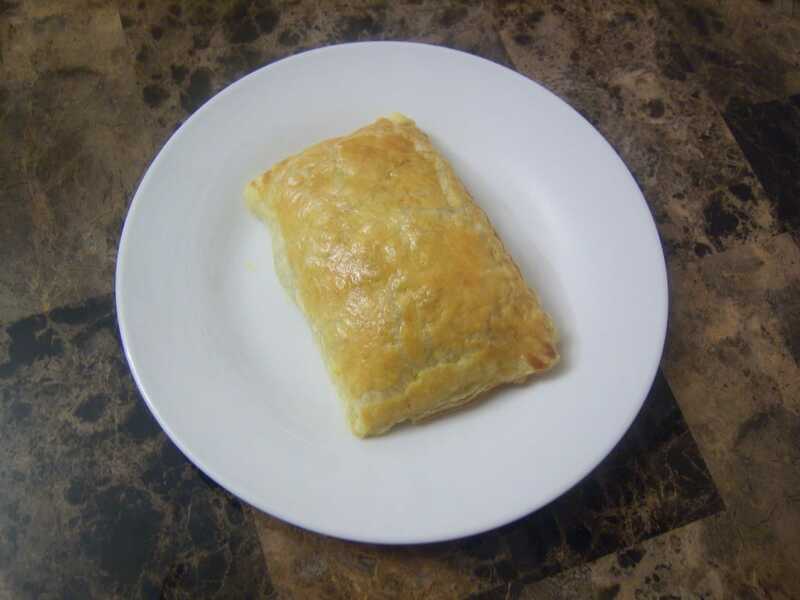 Because this particular puff pastry is most commonly used for desserts, it has no salt in it. You'll have a flavorful filling with a bland crust without this salted egg wash. However, it's really up to you if you want to add the salt to the egg or not. 11. Brush the egg wash over the patties. 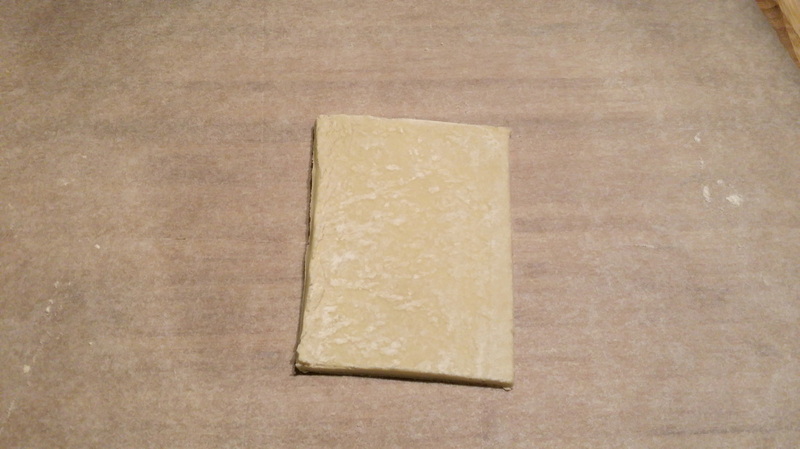 This will help the crust develop a nice dark golden brown color when baking. 12. (This step is optional) With the 4 remaining patties that I wasn't able to fit on the first baking sheet, I made a spicier version. 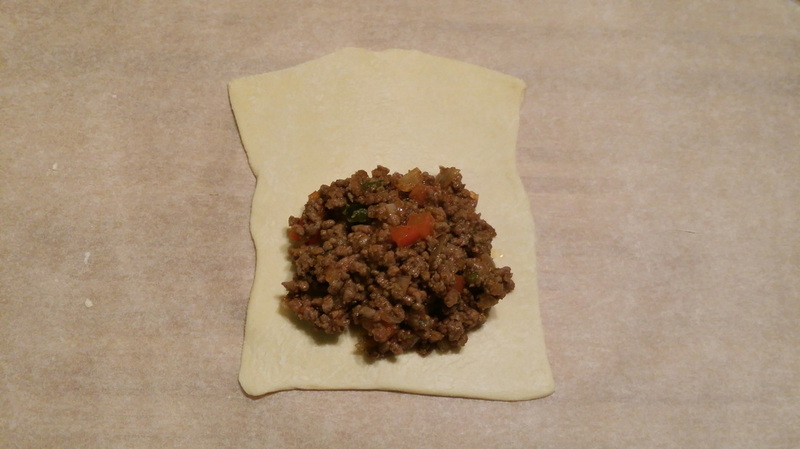 I diced up 1 habenero pepper and added it to the remaining beef filling before stuffing each pastry. I also sprinkled a little cayenne pepper on top of the patty after brushing it with the egg wash. Not only did it give it a slight kick, but I was able to distinguish the originals from the hot ones. 13. 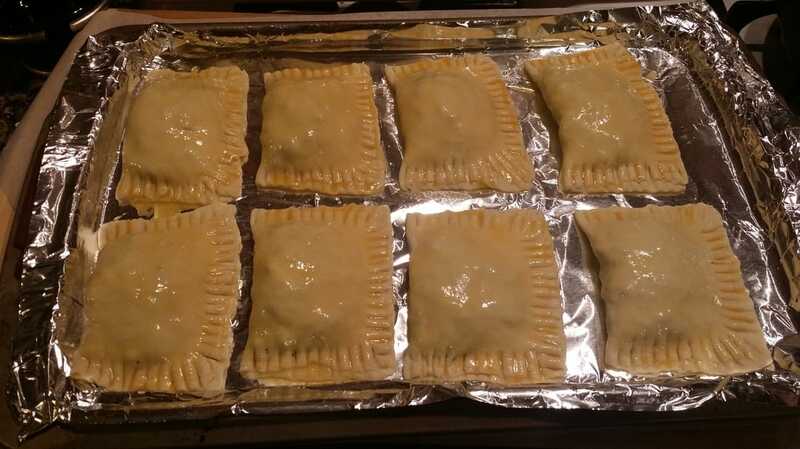 In a preheated oven of 350 degrees F, place the baking sheet with patties in the center rack and bake for 30 minutes. Once done, remove from oven and let cool for about 5 - 10 minutes before using a spatula to remove off the aluminum lining. 14. 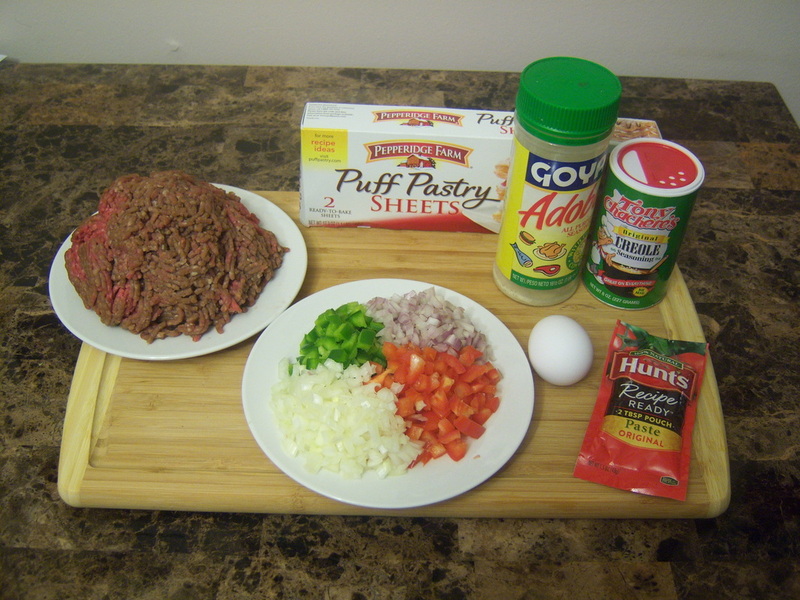 Beef Patties are ready to be served! What are your thoughts on this recipe? 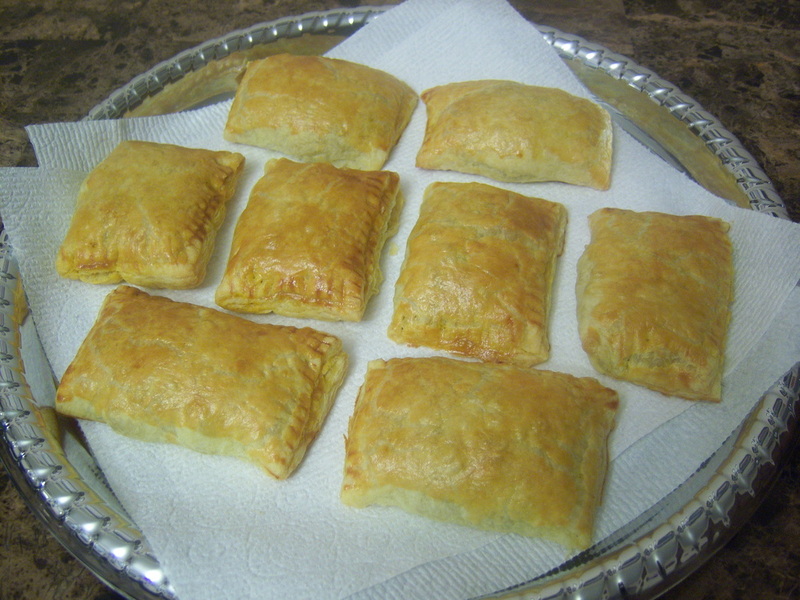 What's your favorite kind of Haitian Patty?